Tennessee Senator, Bob Corker, gives us hope that our voices have been heard in the fight to end modern slavery. He is responsible for introducing a multilateral initiative that will combine the efforts of many governments to fight against the problem of human trafficking. Corker eagerly introduced “The End Modern Slavery Initiative Act” with bipartisan support back in February 2015. 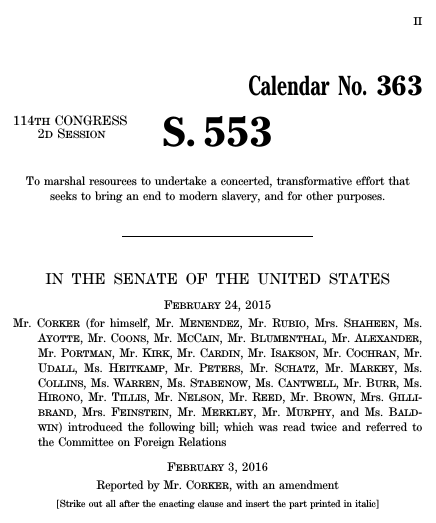 His proposed bill had one goal: to target slavery where it exists through a global commitment to ending its practice. With little hesitation, Obama signed the bill into law in 2016. Corker’s efforts to remedy a problem that exists in over 165 countries signifies a monumental step towards advancing the anti-human trafficking movement. The End Modern Slavery Initiative Act had one goal: to target slavery where it exists through a global commitment to ending its practice. Thanks to the passage of this act, the United States has taken the lead in mobilizing a global effort to combat the issue. Corker states, “the time has come for the United States, as the beacon of freedom, to lead a bold vision for eradicating this insidious practice that preys on the most innocent among us.” This initiative labels slavery as a crime of opportunity that manifests where government enforcement and and prosecution are lackluster. It seeks to root out slavery in the places it exists by raising the risk of prosecution and catalyzing a global fund to collect $1.5 billion dollars in support of the issue. You may be asking, how can an act feasibly generate enough support to receive billions of dollars in funding? The act aims to raise $250 million from the U.S. over several years, $500 million from foreign governments, and $750 million from the private sector. Such goals are grounded in the hope that foreign donors, both in the public and private sector, will match the contributions made by the U.S. As of 2018, the Global Fund to End Modern Day Slavery, GFEMS, has raised $75 million largely due to contributions from the U.S. and Britain. It seeks to root out slavery in the places it exists by raising the risk of prosecution and catalyzing a global fund to collect $1.5 billion dollars in support of the issue. 2) the beneficence of donors. Hence, the United States is struggling to sustain the vitality of the legislation they created since the law contains one major restriction: it is required to be refunded every two years. And with the limited amount of foreign aid dollars available and an overall lack of public awareness, it is possible that the act will not garner the votes it needs to receive congressional appropriations in the next fiscal year. Thus, a monumental effort to combat slavery around the world can be stripped of its tangible influence by a decision to not prioritize the issue of human dignity in the U.S. federal budget. If the End Modern Slavery Initiative Act is funded, however, it has the potential to do many amazing things. 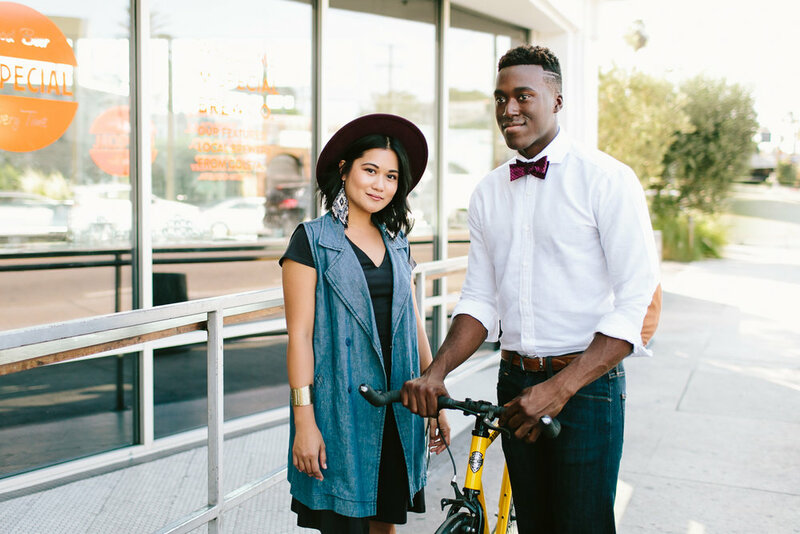 The initiative establishes a non-profit, grant-making entity in the District of Columbia. This non-profit will oversee all programs and operations whose job is to eradicate the practice of slavery in targeted regions around the world. Called, The End Modern Slavery Initiative Foundation, the organization will work with foreign governments to establish better systems of enforcement so that traffickers can be prosecuted by regional authorities. It also calls for a sustainable recovery process for the victims of human trafficking and encourages governments to create more resources for those tarnished by the brutal industry. Called, The End Modern Slavery Initiative Foundation, the organization will work with foreign governments to establish better systems of enforcement so that traffickers can be prosecuted by regional authorities. Another prominent feature of the The End Modern Slavery Initiative Foundation is to set clearly defined goals and expectations that can be measured for analysis. It also seeks to reduce the presence of slavery in the areas it operates by 50%. Subsequently, the goals of this act are comprehensive enough to arouse hope that modern day slavery can be effectively remedied if its efforts are successful. However, the lack of monetary support by not only foreign governments but also the United States illuminates a debilitating problem for this initiative -- more resources need to be mobilized for the effort to stop slavery once and for all. Accordingly, laws can be rendered ineffective if they lack the funding to be implemented in society. This is why we must encourage our governments to prioritize the issue of modern-day slavery. Only until our representatives realize their constituents care about the issue will they join the fight to ensure the law’s effectual presence be seen in the world. You can follow in the footsteps of advocates from International Justice Mission, who recently launched a Stand for Freedom campaign to place the issue of slavery in the public spotlight. This campaign encourages us to call our representatives and demand their vote to fund the End Modern Slavery Initiative Act in the upcoming fiscal budget. If you live outside of the U.S., I encourage you to contact your government officials for support, protest for the cause, and spread awareness to others on why this issue must be addressed - the worst thing we can do is keep silent on an issue that is bred by apathy and indifference. Together, we can fight modern slavery by telling the world that universal human dignity is something to be valued and prioritized above all else.